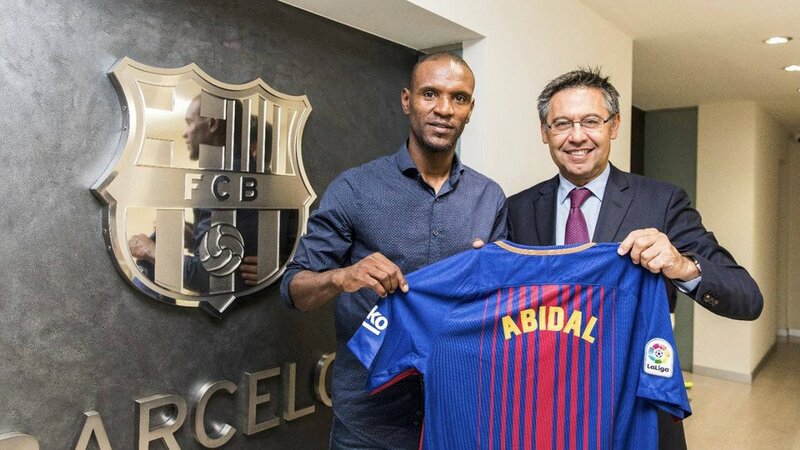 Former France and Barcelona defender Eric Abidal, who returned to top-flight football despite a liver transplant, was on Wednesday named as an ambassador for the Catalan club. Barca said they had reached an agreement with the 37-year-old “to be an ambassador and representative of the club at different events in the next few years”. He will also now form “a permanent part of the globetrotting (Barcelona) veterans team, as well as collaborating with institutional events in liaison with the Social Area and assisting with activities related with the FCBEscola soccer schools”. Abidal spent six years as a player with Barcelona, making 193 official appearances and winning 15 major trophies, including four Ligas and two Champions Leagues. He left in 2013 after recovering from his transplant but was not offered a new contract. Abidal was first diagnosed with a liver tumour in March 2011 but remarkably he played the whole of the Champions League final against Manchester United two months later which Barca won 3-1, he went for his transplant a year later.